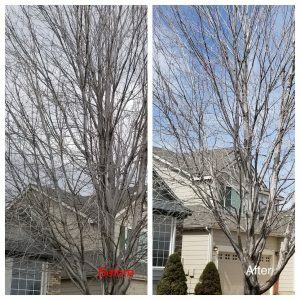 We specialize in helping clients increase the value and beauty of their homes by properly pruning and caring for their trees and plants. We believe in educating our clients so they can be active participants in their investment. Your satisfaction is our priority and we strive to provide a service we are proud of. We start every project by providing a thorough consultation to understand your goals and the needs of the project. Hi All. I’d highly recommend Carbon Valley Tree and Landscape. I found Stacy after my old Arborist retired and am very pleased with the level of attention I am now getting for all of my trees and shrubs. I’ll have Stacy out for visit a couple times through the spring and summer just to look at the trees and do whatever’s required to keep them looking their best. CVTL also do a nice job with landscaping projects. Last season, they removed a large section of garden in my backyard so I can plant everything new. They do nice work and clean up well after completion. Professional, knowledgeable, friendly, and attentive. You can tell they are enthusiastic about what they are doing. Highly recommended. Are you certified and is it safe to use your services? Yes, we are ISA certified. We are also licensed, and insured. In addition, we are environmentally friendly, and will not use any non-organic chemicals on your property. Why should I use a certified arborist? A certified arborist is a highly seasoned professional that has been certified by the International Society of Arboriculture. You can only become ISA-certified by passing rigorous certification exams that test the aborist’s knowledge on many aspects of arboriculture (the study of how trees grow and respond to cultural practices and to their environment). How fast can we expect a response? We will get back to you within a day. Depending on the time of year, our services are typically about 2 weeks out from when you schedule with us. Do you also do landscaping? Yes, we do – for an additional fee. Please mention you would like stump removal when you contact us for a quote. We honor those that Protect and Serve our country. We offer discounts to Active Duty, Retired, Disabled, Military, Police, and Fire. 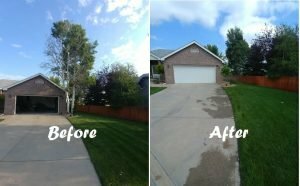 Carbon Valley Tree Care was founded on a commitment to provide the highest standard of workmanship and service on all jobs, big or small, simple or complex. So whether you need to remove a tree or just perform some light maintenance, count on us for timely, professional and affordable service. We’d love to earn your repeat business.